Crowds gather at a vigil for Mildred Wright Friday. 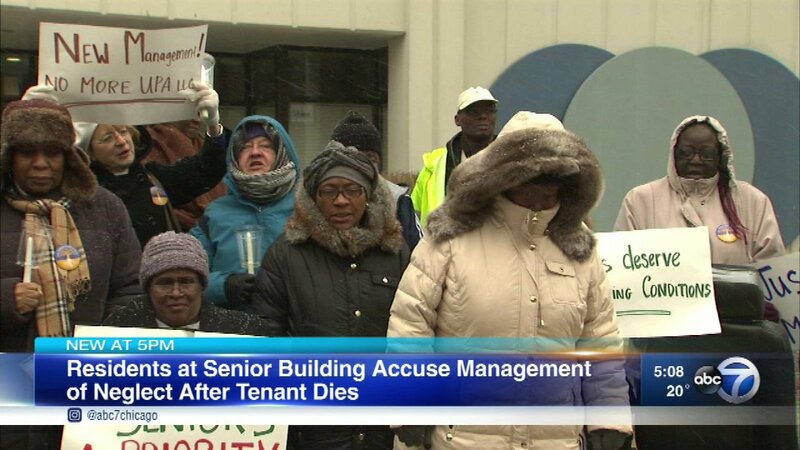 CHICAGO (WLS) -- Family of Mildred Wright are calling for justice Friday after she died of what they claim was neglect. Wright was a resident of Evergreen Tower in Old Town, an affordable housing building for senior citizens. Wright allegedly used the emergency pull cord in her room to summon help, but building management did not respond. Wright then tried to go to the first floor but died on the way. Those at the vigil called the incident "blatant neglect." Evergreen Tower did not return calls for comment.